Make Your Very Own USB Stealer/Password Sniffer. | Kanishk's Technical Blog. Make Your Very Own USB Stealer/Password Sniffer. 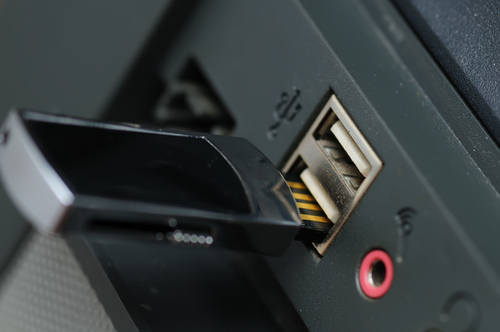 Today I'll teach you all about the trick from which you can make your very own "USB Stealer/Password Sniffer"
What is a USB Stealer or Password Sniffer? A USB Stealer or a Password Sniffer is tool which can Collect the Passwords Stored on a computer very easily.There are Two Main Types of USB Stealer. 1. Internet Browser Password Stealer. 2. Windows Administrator Password Stealer. In this article we'll learn about Internet Browser Password Stealer. To Download USB Stealer Click Here. The Files included in the compressed file are Hack-tools,therefore,you're Anti-Virus will give you a alarm that these are viruses and therefore you need to disable your Anti-Virus Before using these files. Note : If You don't know how to Disable your Anti-Virus,just Google it. Now comes the real things we need to do. 1. Copy all the Executable (EXE) files in USB Stealer folder to your USB Drive. i.e : Copy these files- chromepass.exe, iepv.exe, mailpv.exe, mspass.exe, opera.exe, passfox.exe, pspv.exe. and Save it as AUTORUN.INF and File Type as ALL FILES. and Now,Save this text file as Launch.bat and File Type as ALL FILES. Now,Your USB Stealer/Password Sniffer is ready. Now,I'll give you instructions to use your USB Stealer/Password Sniffer. 1. Now,Just Insert your Password Sniffer ready USB Drive into your friend's Computer. 2. If Autorun is Enabled on his computer then a Pop-Up Box will come up. 3. Select the First Option Saying "Perform a Virus Scan"
If your friend asks you that what is that? Then tell him that this is a Free Anti-Virus programmed by Your friend and he only wants to test it on your computer,It'll remove all the viruses it knows of from your computer. 4. Now,All the .EXE Files will run in the background and collect all the stored passwords on his computer. 1. Open your USB Drive in your Computer (Skip the Perform Virus Scan option). 2. You'll see many Text Files now made in the USB Stealer Folder,Just open those text files and you'll see the Email's and Passwords. do we put it on an empty usb ? and it automaticly run ? For example He uses CHROME...Click on ChromePass Application. its asking for passcode ... wat is dat ?? plz send me on rajender2032@gmail.com ma ID ..
Raj,in Which screen does it Asks for a passcode?? Send me a Caption of that screen.After sending me tell me by commenting here. It`s collect ONLY STORED passwords, not save password is not on the list. Hlo listen. As u told I worked that way on the notepad but when I tried to copy it to my USB ,the paste option didn't appear . So I was wondering now how to copy it. So what should I do now? Can u plzz give me a suggestion ? Hi I have a blog on hacking tutorials.....will google adsense block my site for this? ?